I Wonder What You Would Have Said? | "Northern Crossings"
I Wonder What You Would Have Said? So I wake up one morning and see this on the internet – Facebook to be exact. 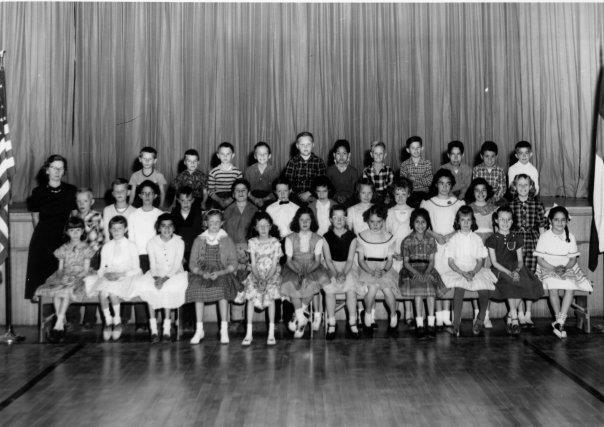 A classmate of mine named Karen Dunscomb Grossaint is getting comments about the old school days in Leadville Colorado and she posted this picture of my 3rd Grade class. I thought to myself “what would I have said to someone back them if they would have told me that before the age of 60 I would travel around the world and meet some extremely fascinating people and be in on the ground floor of some pretty amazing things within the church? I don’t know what I would have said but I wondered the same about the young people that we have sent over to the Kenyan church? What would Olivia or Kyle or Tianna or Christiana or Dean have said back in the third grade? Mike and Candice and all of our travelers should talk about that sometime. I wondered about people like Peter – if you told him in the same day he feed five thousand people with some fish and a little bread and later that night he would walk on water and almost drown what would he have said? So I wrote a song about for a CD called “With Jesus Right Where You Are” and sometimes that is a strange place ideed. We will try and download tbat someday. By the way I am the blond with the big ears and the white shirt second from the left after the teacher in the middle row. Delighted to see you at 3rd Grade Class, Pastor! I am also not sure of what I would have said if someone told me that I will be serving the Lord and meeting wonderful people like you all, even four years before!! God is having his own way of planning for us and using us. Thanks for the precious picture you shared. You are looking handsome, sharp kid.